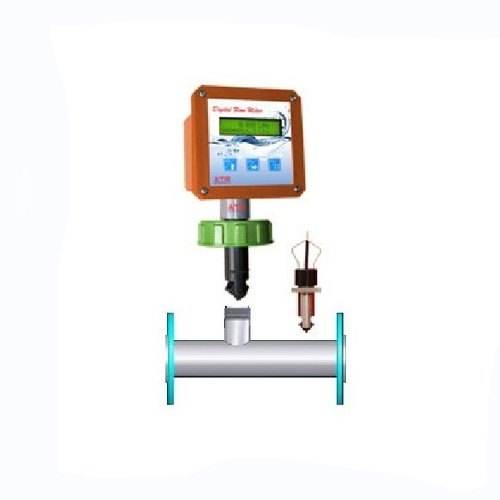 Field Mountable-ATN-F300, The ATN-F300 is a field mounted flow Traansmitter using ATN400 insertion type Flow Sensor. It gives a digital readout of the flow in M3/Hr, LPH, LPM GPM also. These are the most user friendly meters, anybody can easily calibrate install them online without any technical knowledge. These meters use advanced micro controller to calculate the flow rate and total and Transmitting 4-20 Ma current. Established in the year 2005, Sai Enterprises is one of the well-known distributor, trader and supplier of a wide range of automation products. Our range covers Liquid Level Gauges, Liquid Level Switches, Solid Level Switches, Channel Scanners, Process Control Instruments, Analytical Instruments and many more. These high performance and innovative components enhance the productivity of various plants and have excellent levels of performance and reliability, guaranteeing high level of results. The firm is a well known Sole Proprietorship concern located at Vijaynagar, Bengaluru, Karnataka from where we are catering to the entire needs of our clients in a highly effective manner. We intend is to achieve maximum client's satisfaction through our range of automation products and have been successful to a great extent with our tie- ups with distinguished manufactures like ERI, Tectrol, Vatts, Eureka, Nippon and Aditi. We have extremely talented sourcing agents who meticulously survey the market for trustable and reliable vendors who help us in upholding our credibility in the market. We have gained excellent competency in offering quality oriented products at cost effective price owing to or massive experience in procurement and supply of components.